Food and Drug Administration granted accelerated approval to pembrolizumab (Keytruda, Merck) for the treatment of adult and pediatric patients with refractory primary mediastinal large B-cell lymphoma (PMBCL), or who have relapsed after two or more prior lines of therapy. Click here for the source article. Food and Drug Administration approved bevacizumab (Avastin, Genentech, Inc.) for patients with epithelial ovarian, fallopian tube, or primary peritoneal cancer in combination with carboplatin and paclitaxel, followed by single-agent bevacizumab, for stage III or IV disease after initial surgical resection. Food and Drug Administration approved pembrolizumab (Keytruda, Merck and Co. Inc.) for patients with recurrent or metastatic cervical cancer with disease progression on or after chemotherapy whose tumors express PD-L1 (CPS =1) as determined by an FDA-approved test. Food and Drug Administration granted regular approval to venetoclax (VENCLEXTA, AbbVie Inc. and Genentech Inc.) for patients with chronic lymphocytic leukemia (CLL) or small lymphocytic lymphoma (SLL), with or without 17p deletion, who have received at least one prior therapy. Food and Drug Administration approved methoxy polyethylene glycol-epoetin beta (Mircera, Vifor Pharma Inc.) for the treatment of pediatric patients 5 to 17 years of age on hemodialysis who are converting from another ESA after their hemoglobin level was stabilized with an ESA. Food and Drug Administration approved Fulphila (pegfilgrastim-jmdb, Mylan GmbH) as a biosimilar to Neulasta (pegfilgrastim, Amgen, Inc.) to decrease the chance of infection as suggested by febrile neutropenia in patients with non-myeloid cancer who are receiving myelosuppressive chemotherapy that has a clinically significant incidence of febrile neutropenia. Food and Drug Administration approved avatrombopag (Doptelet, AkaRx Inc.) for thrombocytopenia in adults with chronic liver disease scheduled to undergo a procedure. Approval was based on two international, identically designed, randomized, double-blind, placebo-controlled trials, ADAPT-1 and ADAPT-2. Patients (n=430) with chronic liver disease and thrombocytopenia received either avatrombopag (n=274) or placebo (n=156) daily for 5 days prior to a scheduled procedure, and had at least 1 post-dose safety assessment. Food and Drug Administration approved Retacrit (epoetin alfa-epbx, Hospira Inc., a subsidiary of Pfizer Inc.) as a biosimilar to Epogen/Procrit (epoetin alfa, Amgen Inc.) for the treatment of anemia due to chronic kidney disease (CKD) in patients on dialysis and not on dialysis, use of zidovudine in patients with HIV infection, and the effects of concomitant myelosuppressive chemotherapy. It is also approved for the reduction of allogeneic red blood cell transfusions in patients undergoing elective, noncardiac, nonvascular surgery. Food and Drug Administration approved dabrafenib (TAFINLAR®, Novartis Pharmaceuticals Corp.) and trametinib (MEKINIST®, Novartis Pharmaceuticals Corp.) in combination for the treatment of patients with locally advanced or metastatic anaplastic thyroid cancer (ATC) with BRAF V600E mutation and with no satisfactory locoregional treatment options. Food and Drug Administration approved tisagenlecleucel (KYMRIAH, Novartis Pharmaceuticals Corp.) a CD19-directed genetically modified autologous T-cell immunotherapy, for adult patients with relapsed or refractory large B-cell lymphoma after two or more lines of systemic therapy including diffuse large B-cell lymphoma (DLBCL) not otherwise specified, high grade B-cell lymphoma and DLBCL arising from follicular lymphoma. Click Here to see source article. Food and Drug Administration granted regular approval to dabrafenib (TAFINLAR, Novartis Pharmaceuticals Corp.) and trametinib (MEKINIST, Novartis Pharmaceuticals Corp.) in combination for the adjuvant treatment of patients with melanoma with BRAF V600E or V600K mutations, as detected by an FDA-approved test, and involvement of lymph node(s), following complete resection. Food and Drug Administration approved osimertinib (Tagrisso, AstraZeneca Pharmaceuticals LP) for the first-line treatment of patients with metastatic non-small cell lung cancer (NSCLC) whose tumors have epidermal growth factor receptor (EGFR) exon 19 deletions or exon 21 L858R mutations, as detected by an FDA-approved test. Food and Drug Administration approved fostamatinib disodium hexahydrate tablets (TAVALISSE, Rigel Pharmaceuticals, Inc.) for the treatment of thrombocytopenia in adult patients with chronic immune thrombocytopenia (ITP) who have had an insufficient response to a previous treatment. Food and Drug Administration granted approvals to nivolumab and ipilimumab (Opdivo and Yervoy, Bristol-Myers Squibb Co.) in combination for the treatment of intermediate or poor risk, previously untreated advanced renal cell carcinoma. Food and Drug Administration approved everolimus tablets for oral suspension (Afinitor Disperz, Novartis Pharmaceuticals Corp.) for the adjunctive treatment of adult and pediatric patients aged 2 years and older with tuberous sclerosis complex (TSC)-associated partial-onset seizures. Everolimus is also approved for two other manifestations of TSC: TSC-associated subependymal giant cell astrocytoma (SEGA) and TSC-associated renal angiomyolipoma. Food and Drug Administration approved rucaparib (Rubraca®, Clovis Oncology Inc.), a poly ADP-ribose polymerase (PARP) inhibitor, for the maintenance treatment of recurrent epithelial ovarian, fallopian tube, or primary peritoneal cancer who are in a complete or partial response to platinum-based chemotherapy. Food and Drug Administration approved nilotinib (TASIGNA, Novartis Pharmaceuticals Corporation) for pediatric patients 1 year of age or older with newly diagnosed Philadelphia chromosome positive chronic myeloid leukemia in chronic phase (Ph+ CML-CP) or Ph+ CML-CP resistant or intolerant to prior tyrosine-kinase inhibitor (TKI) therapy. Food and Drug Administration approved brentuximab vedotin (Adcetris, Seattle Genetics, Inc.) to treat adult patients with previously untreated stage III or IV classical Hodgkin lymphoma (cHL) in combination with chemotherapy. The FDA has approved a supplemental biologics license application adding a 4-week dosing schedule for nivolumab (Opdivo) across several of the PD-1 inhibitor’s indications. Physicians can now prescribe the new dosing schedule of 480 mg of nivolumab infused every 30 minutes every 4 weeks for these approved indications. Food and Drug Administration approved abemaciclib (VERZENIO™, Eli Lilly and Company) in combination with an aromatase inhibitor as initial endocrine-based therapy for postmenopausal women with hormone receptor (HR)-positive, human epidermal growth factor receptor 2 (HER2)-negative advanced or metastatic breast cancer. Food and Drug Administration approved durvalumab (Imfinzi, AstraZeneca Inc.) for patients with unresectable stage III non-small cell lung cancer (NSCLC) whose disease has not progressed following concurrent platinum-based chemotherapy and radiation therapy. Food and Drug Administration approved apalutamide (Erleada™, Janssen Biotech, Inc.) for patients with non-metastatic castration-resistant prostate cancer (NM-CRPC). Approval was based on a multicenter, double-blind, clinical trial (SPARTAN, NCT01946204) randomizing 1,207 patients with NM-CRPC (2:1) to receive either apalutamide, 240 mg orally once daily in combination with ADT (medical castration or surgical castration) (n=806), or placebo once daily with ADT (n=401). Food and Drug Administration (FDA) approved abiraterone acetate (Zytiga, Janssen Biotech Inc.) tablets in combination with prednisone for metastatic high-risk castration-sensitive prostate cancer (CSPC). FDA initially approved abiraterone acetate with prednisone in 2011 for patients with metastatic castration-resistant prostate cancer (CRPC) who had received prior chemotherapy, and expanded the indication in 2012 for patients with metastatic CRPC. Food and Drug Administration approved lutetium Lu 177 dotatate (LUTATHERA, Advanced Accelerator Applications USA, Inc.) a radiolabeled somatostatin analog, for the treatment of somatostatin receptor-positive gastroenteropancreatic neuroendocrine tumors (GEP-NETs), including foregut, midgut, and hindgut neuroendocrine tumors in adults. FDA granted approval to afatinib (Gilotrif, Boehringer Ingelheim Pharmaceutical, Inc.) for a broadened indication in first-line treatment of patients with metastatic non-small cell lung cancer (NSCLC) whose tumors have non-resistant epidermal growth factor receptor (EGFR) mutations as detected by an FDA-approved test. FDA granted regular approval to olaparib tablets (Lynparza, AstraZeneca Pharmaceuticals LP), a poly (ADP-ribose) polymerase (PARP) inhibitor, for the treatment of patients with deleterious or suspected deleterious germline BRCA-mutated (gBRCAm), HER2-negative metastatic breast cancer who have been treated with chemotherapy either in the neoadjuvant, adjuvant, or metastatic setting. To see drug approvals for earlier years, click here. 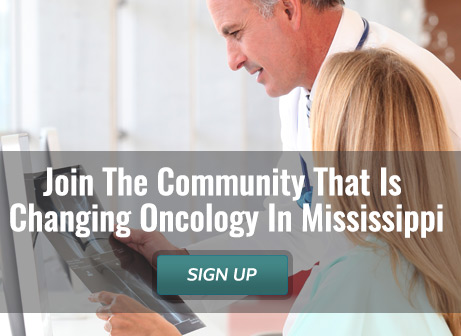 © 2008-2019 Mississippi Oncology Society.